Sit quietly & comfortably and read under skylight. Books & games! Fireplace dining room with 2nd flat screen+DVR. Rainy day games! 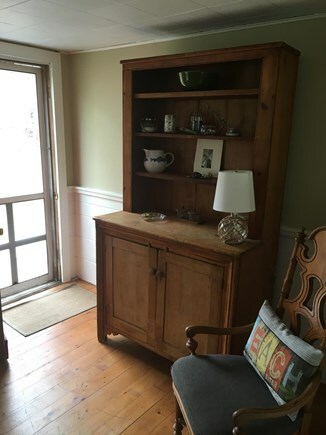 Dining area hutch with Lobster cooking pot! Master Bedroom with queen / closet & dresser. 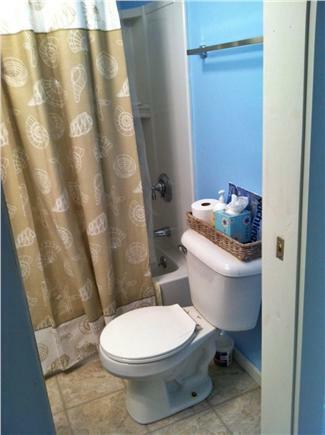 All new bath with tub & shower, sink and toliet. 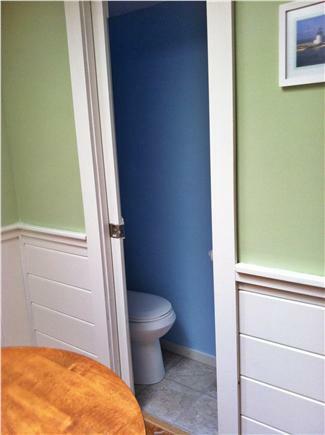 New half bath. No waiting in line for one bathroom! 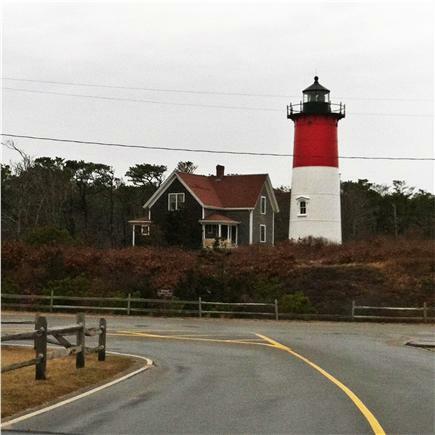 Nauset Lighthouse beach overlooks the Altantic. Park early ! 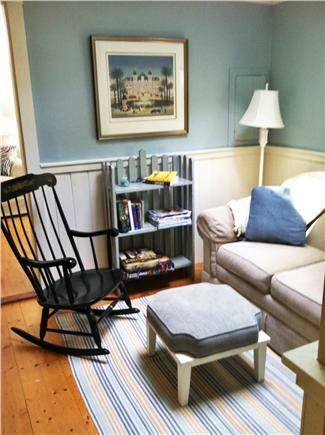 Experience a genuine, quaint Cape Cod Cottage (not a house) for a relaxing summer vacation. Perfect for families. 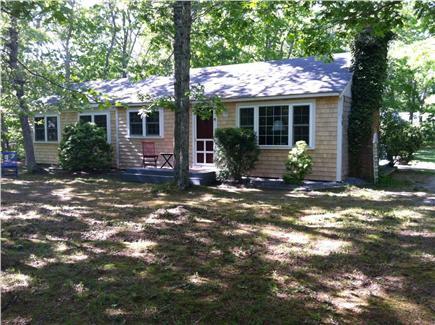 Hidden down a sandy private lane only 8/10 of a mile to Cooks Brook Beach is this very nice three bedroom cottage. 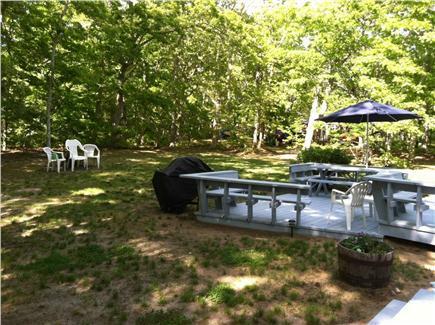 Short 15 minute walk with your favorite beverage to watch the sunset on Cape Cod Bay. A ritual at this beach. There is an updated kitchen with all of the amenities along with a separate dining room, a sitting room with cable and 2 flat screen televisions/DVR. The master bedroom with a queen bed is located away from the kitchen/living room that has a fireplace. The den area has a sliding glass door to the deck and large back yard. 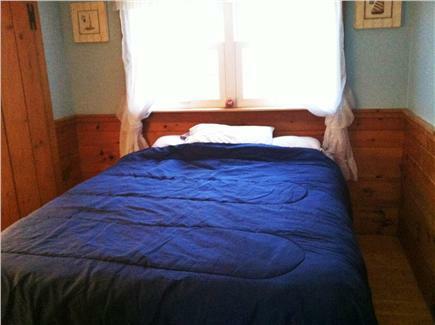 Two more bedrooms are tucked off this area allowing you to both quietly go to bed early or sleep late. 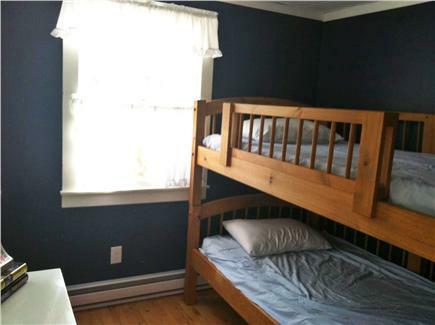 One BR with bunk beds(kids love em) and the other with a double bed. (Note: There is a queen sleeper sofa that can accommodate additional overnight guests). 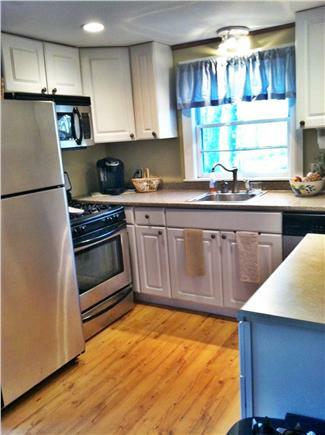 A/C units in each BR, washer & dryer and wireless internet. Additional availability info: Weekend rentals in the fall welcomed!. This is a Saturday to Saturday vacation rental. Additional pricing info: Weekend rentals in the spring & fall are welcomed!, State and local taxes of 12.45% will apply. My husband and I just married on the Cape on 9.9.16 and used this property for 5 members of our wedding party to stay in. The cottage itself is small, but everyone had their own room so it didn't feel cramped. The property is large, and with the wonderful weather we had that weekend, everyone enjoyed hanging out on the porch. I love that they allow access to the shed, my guests were able to use the beach chairs and cooler which was very helpful. Rick was a pleasure to deal with, he was extremely helpful every step of the way (something a stressed bride really appreciates! ), and he went above and beyond and tried to help us find other housing as well! The deposit check was also mailed back to us in a very timely manner. We arrived and felt welcomed and well prepared for. There was ample room for our group and we liked the quiet location. Whether we went on excursions to the National Seashore beaches or just down to Cooks Beach, the location served us well. The outdoor shower was great and we enjoyed the fire pit as well. 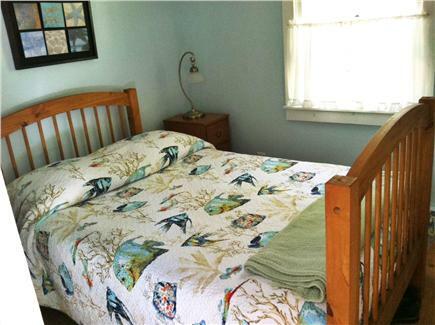 If you want to get away from the hustle and bustle, this is a relaxing and secure cottage. Jen and family, you were great guests and we would love to have you return. Thank you for sharing your comments, and we are so please the vacation was so enjoyable. 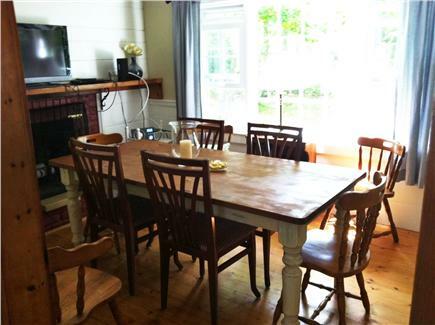 We really appreciate the excellent condition the cottage was in when you departed. No one wants to spend their last vacation day cleaning, so we thank you. Especially with 2 little ones in tow! We really enjoyed the kids' artwork. All our best wishes that the vacation hasn't worn off and won't for a long time. We loved our stay here! The cottage has everything you and your family may need: bikes and helmets, beach chairs and boogie boards, grill, laundry, books and games, wifi, and more! The owners even left thoughtful welcome gifts for us including special gifts for our children. We enjoyed several days at Cooks Brook Beach on the bay side (where we enjoyed the warm, calm water, and sandbars at low tide) as well as several days on the ocean side at Marconi and Coast Guard Beaches (you have to get there EARLY for Nauset Light Beach) (where we enjoyed the big waves, "refreshing" water, and the seals swimming by). One of our favorite places to eat was Arnold's - the best fried clams and onion rings, worth the wait in line and then we enjoyed playing mini-golf there after dinner! The homemade donuts at Hole in One bakery were a delicious treat. We also enjoyed taking a ride down to P-Town to shop and take in the sights. Another afternoon/evening we took a ride to Chatham to go on a boat tour to see the seals and had dinner at another one of our favorites, The Chatham Squire. 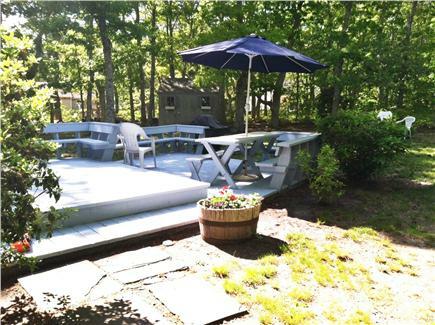 Cape cod ''wash-a-shore'' who loves being able to spend time on, in and next to the water. Private lot with great back yard and deck. Invites you to be out doors from coffee in the morning while you plan your day to toasting marsh mellows by the fire pit well into the evening. Plenty of room inside with a true cottage feel that serves to provide the relaxation you want and need while on vacation. North Eastham is frozen in time. You can walk to the bay for sunsets on Cape Cod bay or play in the ocean surf at either Nauset Light house beach or Nauset Coast Guard. 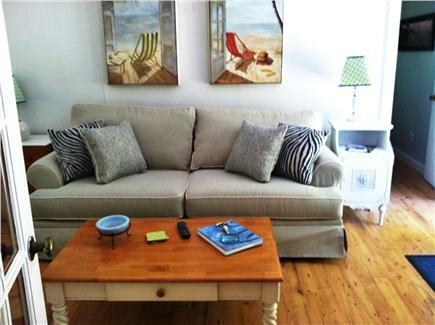 Mid Cape location allows for quick trips to Hyannis, Chatham or P-Town 1/2 hours drive to all!